Savvy franchise companies continue to flourish in this challenging economy. Each month FUSR will bring you good news, highlighting brands that are bucking the trend by adding units, increasing comp store sales, striking deals with investors, and continuing to grow despite the economy - maybe even because of it. And as you'll see below, U.S. franchisors continue to look overseas for expansion while the domestic economy remains slow. Checkers Drive-In Restaurants opened 23 new units in eight states in the first six months of 2009 (9 new franchisees, 10 existing franchisees, and 1 company store), the brand's best pace since 2000. Eighteen of the new units opened in the second quarter. Non-traditional locations, including an airport, a state university, and four turnpike rest areas accounted for six of the 18 new locations. "These openings were some of the most challenging in our history," said Michael Arrowsmith, senior vice president of development, who noted that some existing Burger King locations were converted overnight. "At 6 p.m. they were one brand and by 6 a.m. the following morning, they were Checkers," he said. Although non-traditional locations are becoming more important to the brand, the traditional double drive-thru design continues to be a major growth driver, said Arrowsmith: "Of the 18 locations opened in the second quarter, 10 are the traditional design, which really defines the Checkers brand." Based in Tampa, Checkers has more than 840 Checkers and Rally's restaurants in 29 states and the District of Columbia. Used car and finance company franchise J.D. Byrider will open three new stores: one company store in Cincinnati in early August; and new franchises in Raleigh, N.C., and in New Orleans in September. That makes 128 locations in 30 states for the 20-year-old brand, with additional stores planned by year-end. In a possible sign of an improving economy, Steve Wedding, president of Byrider Franchising, reported that charge-offs (loans deemed uncollectible and written off) decreased 11 percent compared with the same period last year, and delinquencies (1-, 10-, and 30-day) decreased as well. Pizza Patrón posted comparable sales increases each month for the first half of 2009, leading to a 4.15 percent second quarter increase over first half 2008. The franchisor attributed the gains to aggressive local marketing, cost containment, improved efficiencies, eliminating waste, and everyday food values for families: $4 for a 12-inch pizzas with one topping, $5 with two or three toppings, and $6 for specialty pizzas. Founded in 1986 and franchising since 2003, Pizza Patrón operates 90 stores in six states, with plans to have 750 stores nationwide within a decade. About 93 percent of its U.S. restaurants are owned and operated by franchisees. Baskin-Robbins, which opened more than 600 stores worldwide in 2008, has set its expansionary eye on Minneapolis-St. Paul, with 70 new stores projected for the region. Calling it "part of an unprecedented growth campaign designed to increase its U.S. presence," the 64-year-old brand offers new store designs that provide area developers with a range of flexible real estate options that include the traditional store, the new Café 31 model (a high-end dessert bar with ice cream and coffee products), and the BR Express kiosk for malls, sports arenas, airports, or other small co-branded real estate opportunities - as well as upgraded support in marketing, training, and site selection. Headquartered in Canton, Mass., Baskin-Robbins, with 2,700 stores in the U.S. and a total of more than 6,000 stores in 35 countries, is part of Dunkin' Brands, Inc.
Cambria Suites, the newest brand of Choice Hotels International, opened five hotel properties in five weeks during June and July, with four more scheduled by year-end. The new hotels are in Traverse City, Mich., Aurora, Colo., Noblesville, Ind., Maple Grove, Minn., and Madison, Wis. The franchisor says its guestrooms are 25 percent larger than standard hotel rooms and offer the latest in technology with complimentary wired and wireless high-speed Internet access throughout the property. "We're not immune to the tough economic climate out there, but we're continuing to look forward and are immensely proud of this growth," said Kevin J. Lewis, president of Cambria Suites. Parent company Choice Hotels International franchises more than 5,800 hotels in the U.S. and more than 30 countries and territories. Nestlé Toll House Café by Chip, a dessert café and bakery, announced six new café openings by the end of August in Tampa, Galveston, Victorville and San Jose, Calif., Lafayette, Ind., and Las Vegas. Based in Richardson, Tex., the brand has opened more than 100 franchised cafés since 2000, with 24 in the U.S. and Puerto Rico, and the remainder in Canada and the Middle East. Home2 Suites by Hilton, a new mid-tier extended-stay hotel concept, exceeded initial development expectations with more than 50 signed franchise applications since late January. "Our goal for 2009 was to sign 40 agreements. To have exceeded that number just five months after the launch of the new brand demonstrates that this was the right segment at the right time," said Bill Duncan, Global Head, Homewood Suites and Home2 Suites Brands. Home2 Suites forecasts 100 properties open by year-end 2012, with 60 to 70 per year after that. The focus is on U.S. development, followed by expansion into Canada, Mexico, and beyond. Parent company Hilton Hotels Corp. has more than 3,300 hotels and 550,000 rooms in 77 countries. Figaro's Pizza announced the opening of its fourth and fifth locations in the Middle East under its master franchise agreement with Sense Gourmet, a subsidiary of Abu Dhabi-based Foodco Holding. The newest locations are in Dubai, with the other three in Abu Dhabi and Sharjah, United Arab Emirates. Sense Gourmet was formed to establish restaurants across GCC (Gulf Cooperation Council) countries in partnership with restaurant operators. Plans call for 35 locations in the UAE, with additional locations in Kuwait, Saudi Arabia, Qatar, Oman, Bahrain, and Egypt. "Our studies showed that there is an unfilled niche in the Middle East for high-quality products, especially for fresh pizzas that people can take home and bake for themselves," said Foodco Holding's Chair and Managing Director Ahmed bin Ali Khalfan Al Dhahry. In addition to expanding in the Middle East, Figaro's has also entered into master franchising agreements in Mexico and Cyprus. Founded in 1981, the Salem, Ore.-based concept has nearly 100 locations and expects to open 5 to 10 new units per year over the next several years. Quaker Steak & Lube, the motor sports-themed restaurant, is driving growth abroad, opening in Toronto's Rogers Centre, home of the Toronto Blue Jays. The express location, operated by Aramark, features wings, onion rings, other sides, and beverages. 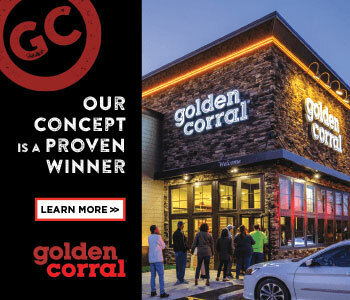 Founded in 1974, the brand owns or franchises 34 restaurants in 13 states and now Canada, with seven more U.S. locations scheduled to open this year. The franchisor also is looking to expand into Asia. "Chicken is the number-one universal meat, and the world is enamored with motor sports, making The Lube a perfect fit for many countries," said Ken Cole, president and CEO. "Our management team has experience with overseas operations and understands how to successfully export an American concept to another country." The Glass Doctor opened seven new franchises in the U.S. and Canada in June and July. This brings the number of franchise owners to more than 165 in the U.S. and Canada for the company, which began as a single store in Seattle in 1962. The new units are in Hayward, Calif.; Richland and Columbia, S.C.; Longview, Tex. ; Southern Pines, N.C.; Springfield, Ill.; and North Vancouver, B.C., Canada. The Vancouver store is the brand's third Canadian franchise to open this year. Sylvan Learning has opened its first centers in Bahrain and Kuwait, part of a seven-area international agreement for expansion in the Middle East. The new center in Bahrain was set to open in July, and the Kuwait center in August. Mohamed A. Dobashi, associate teaching professor at Carnegie Mellon University in Qatar, and his partners purchased the rights to open Sylvan Learning centers in two emirates of the UAE (Abu Dhabi and Dubai), and in Egypt, Oman, Bahrain, Qatar, Kuwait, and Saudi Arabia - a market of approximately 120 million people. Dobashi opened his first Sylvan Learning center in Qatar in 2007. While this agreement highlights Sylvan's efforts to grow the brand in countries outside of the U.S. and Canada, the concept also has been growing in the U.S., signing 24 new agreements since January, including territories in Baltimore, Pittsburgh, Atlanta, Salt Lake City, Las Vegas, Arlington, Tex., Evergreen Park, Ill., Marlton, N.J., Mountain View, Calif., Winter Park, Fla., and Mobile, Ala. Edible Arrangements has signed two master franchisee agreements, one in Rome and one in Hong Kong. VPF International Ltd., which will operate as the Rome master, plans to develop five locations in Rome with at least one planned to open later this year. The Hong Kong master, D.T. Hong Kong Ltd., led by Sanja Dujic, plans to develop six stores in the city with the first to open in the fourth quarter. Launched in 1999, Edible Arrangements has 900 locations in 8 countries outside of the U.S. and Puerto Rico, and is shooting for 1,000 by 2010. After nearly 30 years in business, Rancho Santa Margarita, Calif.-based Golden Spoon Frozen Yogurt began franchising last October through its franchising arm, Golden Spoon Franchising (GSF). Since its formation, GSF has taken the brand into Japan and Northern California, and recently announced additional expansion in the Pacific Rim, with at least 25 stores under contract to open in the Philippines in the next 5 years. If you have good news about growth or expansion at your company, please send it our way: editorial@franchiseupdatemedia.com.